Rancho Bernardo's Preferred Iron Fabricator: B.A. Ramirez & Sons Ornamental Iron Works, Inc.
B.A. 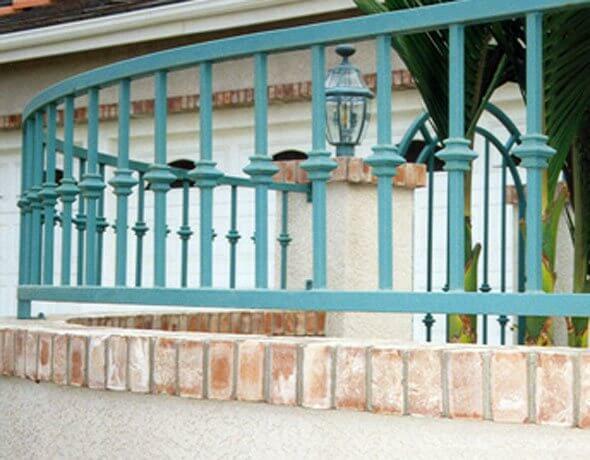 Ramirez & Sons Ornamental Iron Works, Inc. has more than 30 years of experience meeting the iron work needs of Rancho Bernardo residential and commercial customers. With our expertise, you can rest assured that our custom-designed, beautifully crafted, and precision-installed ironwork will add style, functionality, and value to your Rancho Bernardo business or home for years to come. 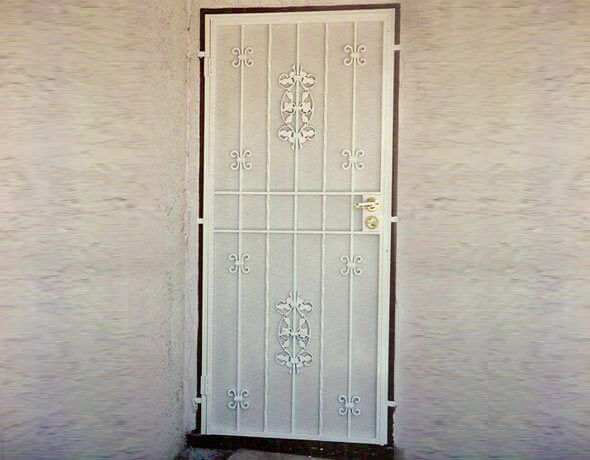 We specialize in crafting iron fences, manual and automatic gates, staircase railings, window guards, doors, enclosures, handrails, and guardrails to each customer's specifications. We also offer repair services for damaged ironwork that can range from replacing pickets to fixing a gate operator system. Whatever your Rancho Bernardo ironwork service needs, you can trust B.A. Ramirez & Sons to provide honest advice, fair prices, and only the highest level of workmanship and professionalism. At B.A. Ramirez & Sons Ornamental Iron Works, Inc., all of our iron work is hand forged and welded at our local facility by professionals with 30-50 years of experience. They can realize any sketch or replicate a design from a photo. Designs can feature intricate scrollwork, decorative pickets, iron castings (leaves, finials, circles, etc. ), wood pickets or metal backings for privacy, and your choice of hardware, motorized gate operator, and access control system. We work with moderate to heavy grade steel and comply with all municipal building codes and current ADA standards. Additionally, any of our pieces can be given a powder coat, galvanized, or metallized treatment to protect it against rust. Call licensed, bonded, and insured B.A. Ramirez & Sons Ornamental Iron Works, Inc. today and set up a free onsite consultation to learn more. Because we believe in the quality of our work, we offer a written guarantee on all our of our custom-made steel products. At B.A. 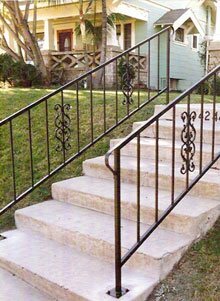 Ramirez & Sons Ornamental Iron Works, Inc., we are a well-respected provider of residential iron work services. Rancho Bernardo homeowners and HOAs can count on us for beautiful, custom fences, gates, railings, enclosures, doors, handrails, and guardrails made from durable ornamental and wrought iron. Our iron work structures can provide security, privacy, perimeter definition, safety, and other benefits, in addition to understated, classic style. By working with us, you'll get a piece that is customized to your individual needs and budget. Moreover, because we custom design, fabricate, and install our residential iron work in Rancho Bernardo, we can accommodate a wide range of design requests. Call us today for a free design consultation and online estimate. At B.A. Ramirez & Sons Ornamental Iron Works, Inc., we specialize in custom-creating quality iron work to fit most budgets. We have provided commercial property owners in Rancho Bernardo with functional, attractive iron fences, gates, railings, window guards, and doors since 1980. We are experts at working with tubular and solid iron, as well as hand forging ornate designs and integrating decorative iron castings. 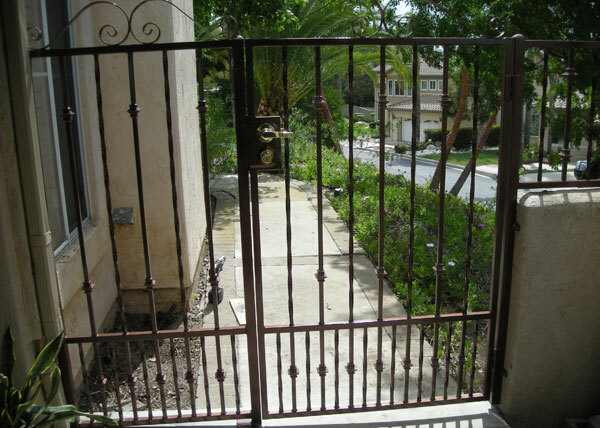 Moreover, we have a proven track record of providing strong, effective, as well as affordable iron security fences and iron security gates in Rancho Bernardo. Iron fencing is naturally difficult to climb, and therefore makes an excellent security perimeter for commercial properties. 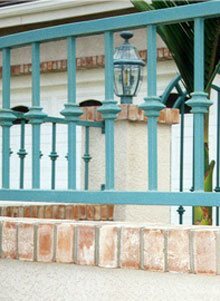 In addition, our iron security fences can feature finials or spikes to discourage intruders. Call us today for all your commercial iron work needs in Rancho Bernardo. We can come to your business for on-site consultations or provide online estimates. At B.A. 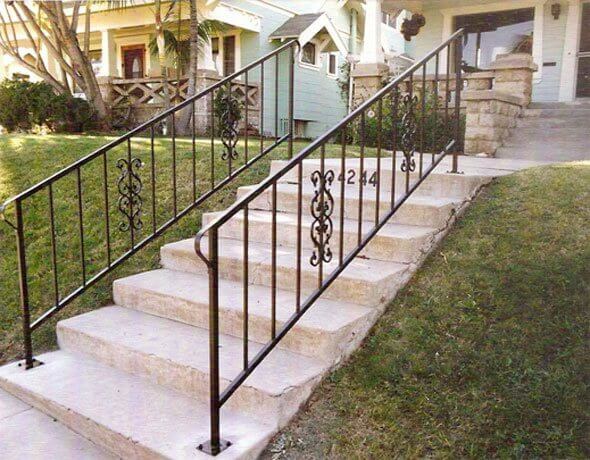 Ramirez & Sons Ornamental Iron Works, Inc., we custom-design all types of iron railing for Rancho Bernardo customers, including ornamental and wrought iron guardrails, handrails for stairs and inclines, and railings for interior and exterior balconies and staircases. Using Old World hand forging techniques, we can replicate any railing design or create one from scratch based upon a few photos or a loose sketch. Railings have ranged from the simple (smooth, one-rail, wall-mounted handrails) to the intricate (railings that consist primarily of scrollwork and those that feature hammered balusters with baskets, knuckles, or collars). We offer a wide selection of casted decorative iron designs (such as oak leaves, rose leaves, and more), and can finish each railing with a powder coat, galvanized, or metallized finish. All of our railings, guardrails, and handrails will meet current building codes and ADA standards as well as comply with any applicable HOA CC&Rs. Call us today to learn about our past projects and to install a beautiful and fairly priced iron railing at your Rancho Bernardo location. No matter what your preference, B.A. 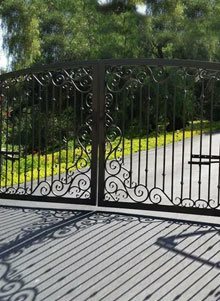 Ramirez & Sons Ornamental Iron Works, Inc. can design and build the perfect iron gate for your Rancho Bernardo home or business. 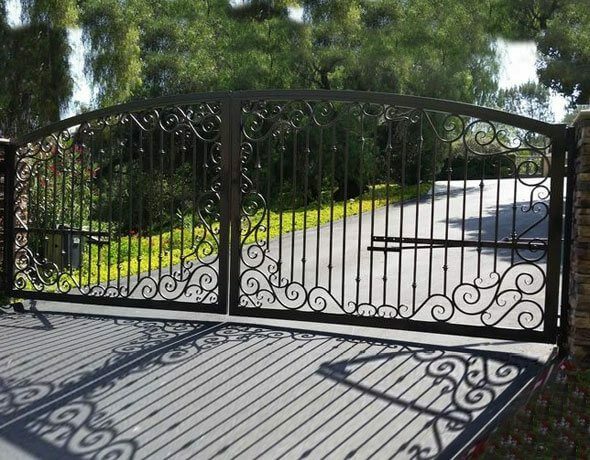 Our prices are competitive and we have decades of experience fabricating and installing custom iron pedestrian and driveway gates for our Rancho Bernardo customers. Because we hand forge our gates and have access to a large inventory of cast iron designs, we can replicate any gate design or realize any vision. Additionally, we can integrate quality hardware and gate access equipment, such as deadbolts, gate latches, keypad systems with electronic locks, phone entry systems, proximity card readers, and more. 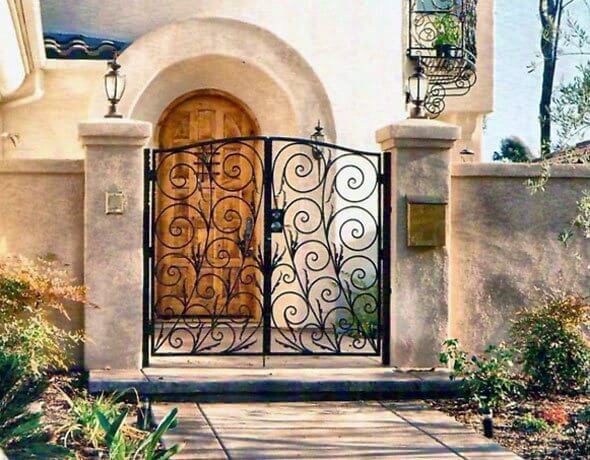 Call us today for the best value in ornamental and wrought iron gate design, fabrication, and installation in Rancho Bernardo. At B.A. Ramirez & Sons, we are authorized to sell and install gate openers, access control systems, and safety features from RamSet, Elite, All-O-Matic, Linear, DoorKing, and LiftMaster. These brands are known for their exceptional-quality equipment/hardware and superior manufacturer warranties. Since we have years of experience and receive ongoing manufacturer training, we are able to ensure that our Rancho Bernardo clients get the right equipment and hardware for their gates and that their new gate system is installed for optimal performance. We'll also ensure that each client is notified of any factors that might affect the efficacy, safety, or longevity of their new or replacement automatic gate. In each case, we aim to give our Rancho Bernardo customers an automatic gate that meets their needs, complies with all applicable building codes, and fits their budget. Call today for a free consultation. At B.A. Ramirez & Sons Ornamental Iron Works, Inc., we have been building and installing attractive, affordable iron fences for our valued commercial and residential customers since 1982. When you trust us to expertly design and install your custom ornamental or wrought iron fence in Rancho Bernardo, you are entrusting your iron work to highly skilled, experienced craftsmen who pride themselves on adhering to only the highest standards of workmanship. Our ironworkers specialize in building perimeter fences, security fences, pool fences, and coordinating entryway gates. 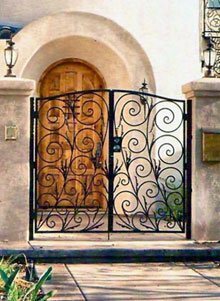 Each of our iron fences and gates can be enhanced with ornate scrolls, smooth or hammered pickets, speared or spiked toppers/finials, decorative cast iron designs (leaves, circles, rosettes, etc. ), stylish backings, a powder coat finish (available in 100s of colors), and more. We can also automate your gate, install access control systems, mount your fence or gate to concrete surfaces, or integrate wood pickets. With their level of expertise, our iron fence professionals can also repair and replace existing iron fences in Rancho Bernardo that have been damaged by time or in an accident. Call us today and let us build you the best custom, wrought or ornamental iron fence for your Rancho Bernardo home or business. At B.A. Ramirez & Sons Ornamental Iron Works, Inc., our expert craftsmen observe the highest quality standards of workmanship, and carefully construct and install all of our window guards/burglar bars and security doors in strict compliance with current safety regulations and relevant building codes. We can also ensure that your new window guards or doors comply with your homeowners association's CC&Rs. Trust B.A. 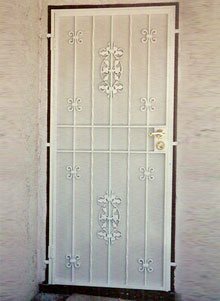 Ramirez & Sons for attractive, effective, top-quality security iron work that will protect your home or business as well as your budget. Our highly skilled craftsmen can custom-design, build, and install any size or type of security window guards, security doors, screen doors, or enclosures for your Rancho Bernardo home or business. At B.A. Ramirez & Sons Ornamental Iron Works, Inc., we have been building and installing attractive, affordable iron work for our Rancho Bernardo commercial and residential customers for decades. Call us today to learn more. G7 This Spanish style steel gate in Rancho Bernardo, CA was designed for security. The gate was fabricated from a steel tube frame and features straight and twisted pickets.